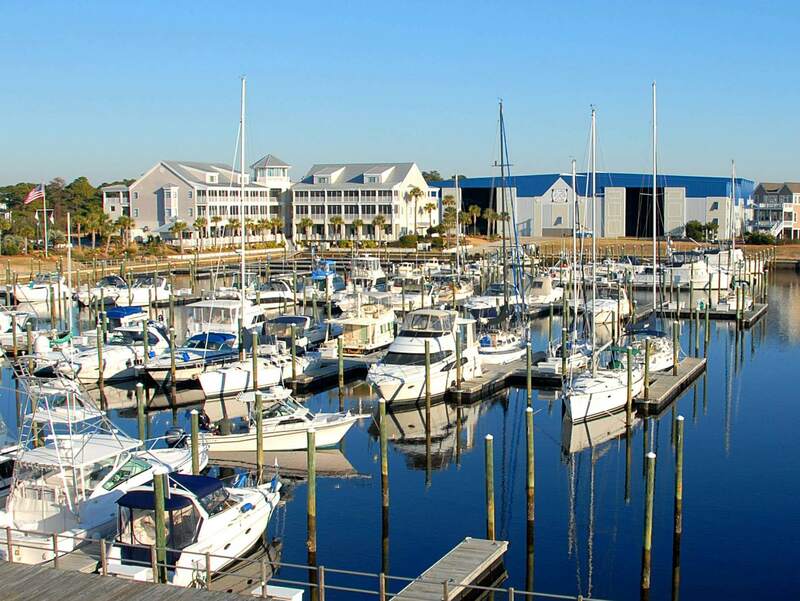 St James Plantation includes a beautiful marina on the Inter Coastal Waterway. We have 155 wet slips from 30 t0 50 feet in length. For the smaller boats we have 300 inside dry slips. With just a phone call you can have your boat picked up in the dry storage and launched and ready. When you are finished, they will pick up your boat, flush the engines, pressure the outside of your boat and put it back in the boat storage building. This marina is the most secure of all the local marinas in case of nasty weather. We have the lowest fuel prices and the best marina staff of all the local marinas, There is a very nice restaurant on site, open from 7am till 10 pm. If you like to just cruise, Myrtle Beach is just a little south and Wrightsville Beach, Wilmington and Baldhead Island are just a little ride north. There are several places to eat with boat docks in both directions, also. If you are a fisherman, the inshore fishing for sea trout, red fish and flounder is excellent and all along the waterway and branch streams. If you prefer off shore fishing, there are exits into the ocean close by. We managed to catch one sailfish and eleven king fish just this past week. Having your own boat very close to your home is an ideal set up. Come take a look and maybe even a scenic boat ride with me.